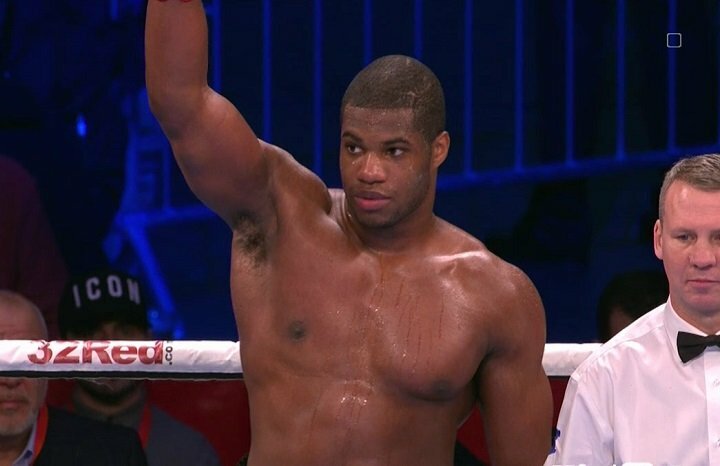 He is the young up and coming heavyweight everyone in the UK is taking about, and last night, against a previously unbeaten and tricky foe, 20 year old Daniel Dubois advanced to 7-0 (all but one by KO) via a third-round stoppage of DL Jones, also from the UK. After a couple of scrappy rounds – some fans later stating how Dubois looked “slow” and “hittable” – Dubois landed with some strong hooks to the head and down went ex-soldier Jones. The referee waved it off and the bout was all done and dusted at the 2:23 mark of the third. Despite the mixed reviews Dubois has received, it is of course extremely early days; Dubois still too young to even fight for the British title. His promoter, Frank Warren, acknowledges and understands this and he says that at this early stage of his heavyweight’s career, it is all about keeping Dubois busy and active. So Dubois will keep on learning. As Warren said last night, it would be nice for the young man-mountain to go rounds, but it is also good that he is scoring KO’S – and against decent, live opposition, if not against killers. Who might make a good learning opponent for Dubois in the coming months; a US fighter perhaps? With another red-hot heavyweight hope from the UK looking to move fast – Joe Joyce, who might be going in with Dereck Chisora in his next fight – there is a tendency for fans to call for a similarly advanced game-plan for Dubois. But unlike Joyce, who is already 32 years of age, Dubois has plenty of time and absolutely no need to rush things. That well-publicised tale of Dubois having knocked Anthony Joshua down and giving him a rough time of things in sparring has been a blessing (great for print) as well as a curse (some fans comparing Dubois to AJ). Judging from last night’s decent if not terrific performance, Dubois at 7-0, is light years away from getting in there for real with the 20-0 WBA and IBF heavyweight ruler. Still, at just 7-0 and age 20, what should we expect? One man who would perhaps make a great, if risky, opponent for Dubois, is former cruiserweight title challenger BJ Flores. Flores told this website how he would be very much interested in coming back to the UK for a fight with Dubois. But would such a match-up prove to be TOO risky for Dubois at this stage? Again, it will be interesting to see who Warren lines up for his heavyweight power-puncher on April 14.